Here is the anonymous letter that was received by DOJ investigator Tom Fassbender. Supposedly they went to the Avery’s smelter but determined it wasn’t used for a period of time and then stopped looking into it. 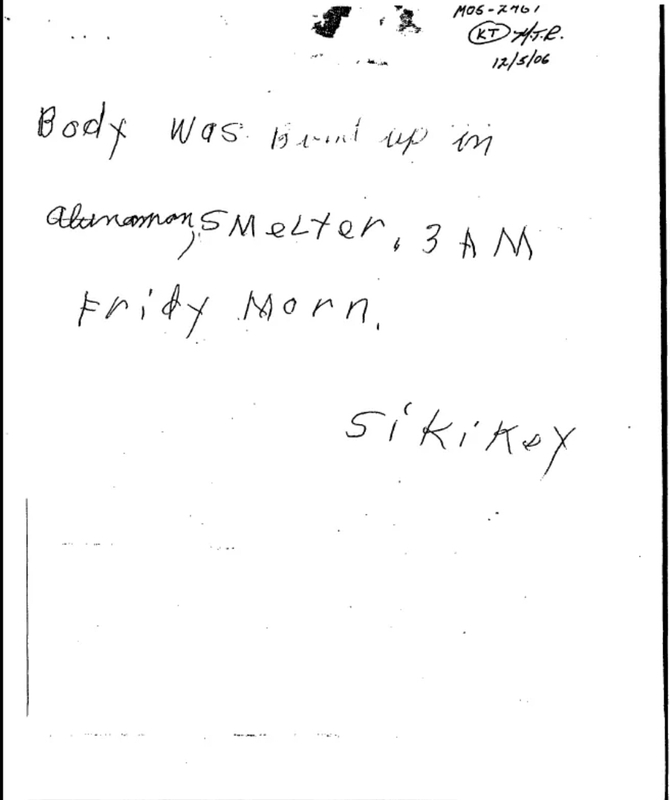 The theory about this letter is that a smelter was used to burn the body of Teresa Halbach at 3AM on Friday – the police allegedly looked into the Avery’s smelter and concluded it wasn’t used in a period of time and then dismissed the letter without looking into other smelters or trying to look into this letter further. What do you think about this letter? Do you think somebody knew more about what happened and tried to contact the police or this is just a hoax?